A recent teen car accident in Massachusetts is still being investigated by accident reconstruction teams. Capt. William Breault said that the accident happened in Dover on Dover Point Road right in front of St. Thomas Aquinas High School; a 17-year-old driver reportedly traveled into the path of another vehicle. Both vehicles suffered severe front-end damage, according to Foster’s Daily. All four motorists involved in the accident were taken to Wentworth-Douglass Hospital with varying injuries. Authorities are investigating why the teen driver, who was heading northbound on that road, crossed over into the southbound lanes. The road was closed for a number of hours so that investigation crews could assess the scene of the accident. Once the investigation is complete, a prosecutor will review the data and could potentially file charges. Our Boston teen car accident attorneys know the fall is a dangerous time for teen drivers as kids head back to school. Motorists are urged to be on the lookout for these inexperienced, young drivers. According to the National Highway Traffic Safety Administration, traffic accidents are the number one killer for teens aged 15- to 20-years-old in the United States. Parents are urged to step up and talk with their young drivers about the importance of safe driving habits and about the consequences of poor driving decisions. Please do your part to help a teen driver avoid a potentially fatal accident this school year. This is the third entry of a three-part blog that discusses the different modes of travel that our students will be taking to school this year and the dangers that accompany them. Parents are urged to look over the articles and discuss the safe-travel tips with their children to help to ensure that they make it to and from school safely this school year. There were nearly 2,500 young drivers killed in traffic accidents in the United States in 2009. Another 196,000 teen drivers were injured in these incidents. More than 5,000 teen drivers were involved in fatal accidents during the same year. Teens made up more than 10 percent of all of the drivers involved in fatal accidents during this time. Massachusetts witnessed nearly 50 teen deaths resulting from car accidents in our state in 2009. Parents could quite possible be the most influential people in a teen driver’s learning process. 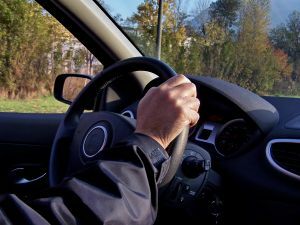 For this reason, parents are urged to step up and get involved with their teen’s driving experience. Offer them plenty of practice time and appropriate feedback regarding their driving skills. -Make sure teens wear their seat belts. Recent statistics conclude that this age group is least likely to buckle up on our roadways. A majority of teens that died in car accidents were not wearing their seat belts. -Shut off your phone. Nearly 20 percent of teenage drivers that were involved in a fatal car accident were distracted. Lead by example. -Limit the number of passengers they’re allowed to drive with. Passengers can be one of the most deadly distractions. Limiting passengers limits your teen’s risk of being involved in a serious accident. -Watch the speed. This is especially important for young male drivers. Make sure they know, and abide by, all speed limit postings. -Warn them about the dangers of drinking and driving. Even though they may not be old enough to buy alcohol, that doesn’t mean they can’t get it and won’t drink it. -Limit their nighttime driving. Nearly 20 percent of all young driver deaths occurred during the evening hours. -Make sure your teen’s car is safe and is well-maintained. Check the brakes and tire pressure. Look at the fluid levels under the hood. Check that their lights are working properly. -Set check-in rules for your teen. Make sure that they call or text when they arrive at their destination and when they are leaving to head home. If you or your teen has experienced a car accident in the Boston area, contact Massachusetts Car Accident Attorney Jeffrey S. Glassman for a free and confidential appointment to discuss your rights. Call 1-877-617-5333.